Money that is earned through the rental market for a house of any size is pre-tax cash flow. While purchasers of homes often do their best to determine a rate of return, not every dollar that is earned is considered net income. By understanding cash flow as a rental home buyer, a person can accurately estimate just how much profit can be pulled in front a property in any neighborhood. Following the money trail is the easiest way to define what is cash flow. Every rental dollar that comes into the account of a homeowner or property management company is part of the revenue stream for an individual property. There are two types of cash flow. These types are inflows and outflows. Understanding each type can help to keep a property profitable during the ownership period. When a deal is made to purchase a home, it is likely that an investor has determined that the home is able to produce a certain percentage of positive cash flow. This means that the money is clean and is able to pay for all expenses that are incurred on a monthly basis. 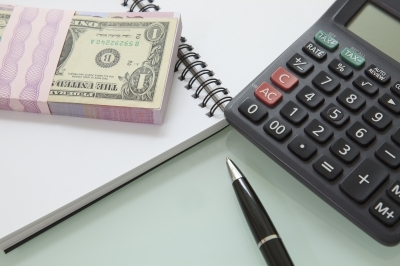 When estimating the strength of a rental, positive flows of cash are crucial to understand. Smart investors know how to avoid a home that has what is known as a negative cash flow. This means the income that is earned from the property is not enough to pay for the expenses that are incurred. There are many cases in the housing industry where individuals or groups of buyers purchase homes to flip that turn out to have a negative flow of money. The cash on cash return should always be evaluated prior to signing off on a property. A cut off point for most investors is the $30,000 home. Homes that are below this selling price are usually in need of the most repairs. While the initial price is in the budget of many investors, the money needed to make the home produce positive cash flow could be double the purchase price. When renters pay late or not at all, a rental will instantly be in the negative cash flow bracket for the month. Because landlords and property owners depend on monthly income, management services are the best way to curb tenant payment issues. A home with a 12-month occupancy rate is most always profitable when professionally managed. First-time buyers often get caught having no cash reserves during the length of rental homeownership. The positive cash that comes in from rental activities must be reduced by a certain percentage to holdback money for unexpected repairs. Not having money in a reserve account to pay for broken windows, pipes or roof work will easily deflate the cash on cash returns on a property. JWB has one of the largest networks of rental homes located in the state of Florida. Each home has a tenant who is paying rent under a long-term agreement. This provides immediate ROI as well as the professional management needed to keep the property profitable. Investors who do not own Florida rental homes can learn about this opportunity by downloaded the content guide on this page.